Soft furnishings are normally the centre piece of your room. You will want to keep them looking at their best throughout their inevitably eventful lives. Upholstery cleaning is a more exact science than carpet cleaning with an even greater range of fabrics, often mixed together on the same suite. That makes then susceptible to damage by using inappropriate techniques or chemicals. We use advanced techniques to ensure a deep clean using either low or very low moisture methods that prevent damage being caused to the fabric and assist in fast drying. Most suites are particularly effected around the arms from natural body oils soiling the fabric and on high backed chairs from hair oils and hair products. Our range of specialist cleaning solutions allows us to deal with these issues and return your furniture to its former glory. As with carpets we only use eco friendly, detergent free, sustainable plant based products that leave no residue on the fabric and are extracted using only fresh water. We also use the Sapphire Pro upholstery tool to maximise cleaning and minimise wetting. Unlike the old style hand tools still used by most carpet cleaners the Sapphire Pro gives amazingly fast drying times for the benefit of you and your upholstery. We also use turbo dryers to speed up the drying process. Your furniture should normally be available for use the same day. 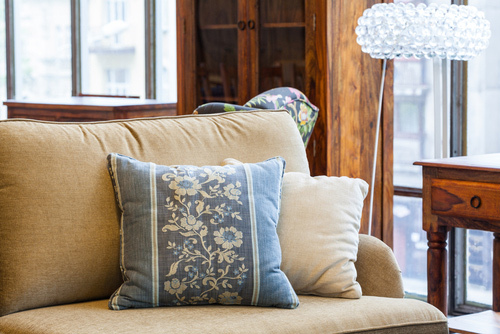 At the end of the cleaning process, with most fabrics, we can offer spray the furniture with an advanced fabric protector which will help prevent and spillages from becoming stains and will help extend the life of the item. As with our carpet cleaning we offer a 100% satisfaction guarantee. If you are not happy with any aspect of the clean we will return free of charge and re-clean the item. If you are still unhappy with our service we will refund you in full. We also offer a free spot and stain warranty. We will remove accidental spots and stains that occur within 7 days of our clean free of charge. If you have chosen to have your furniture protected then we will extend the free warranty to 3 months.